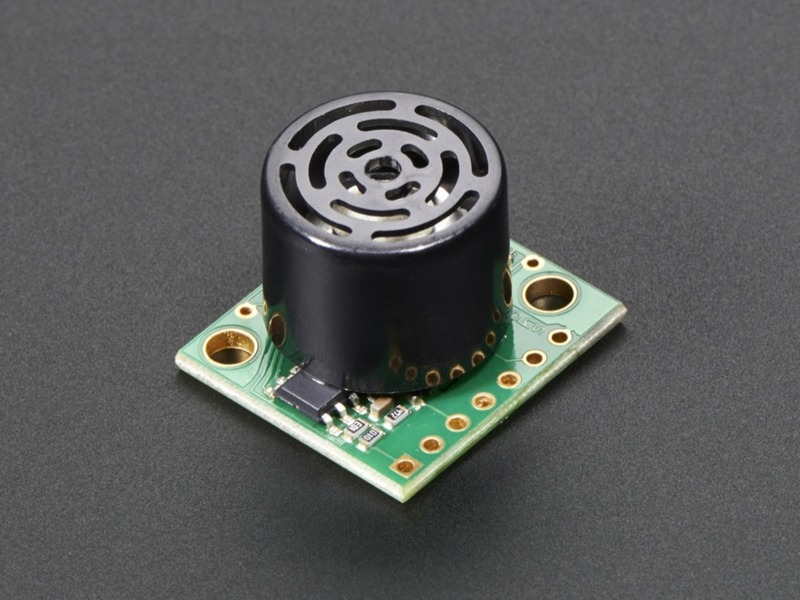 LV-EZ0 Maxbotix Ultrasonic Rangefinder provides very short to long-range detection and ranging, in an incredibly small package. It can detect objects from 0-inches to 254-inches (6.45-meters) and provides sonar range information from 6-inches out to 254-inches with 1-inch resolution. 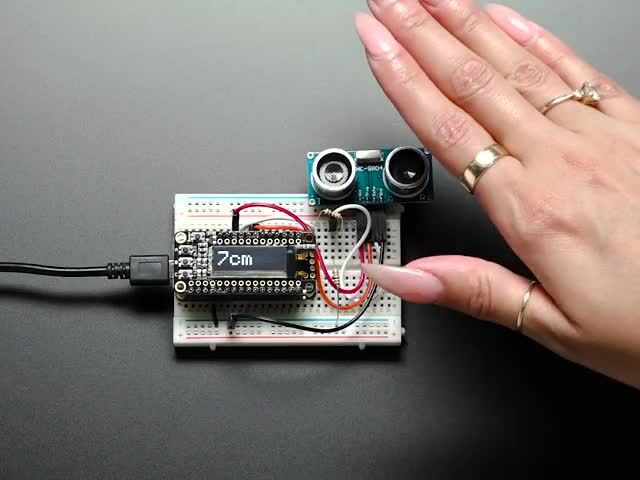 (Objects from 0 inches to 6-inches range as 6-inches.) 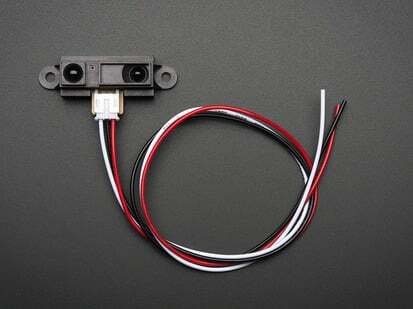 The interface output formats included are pulse width output (PWM), analog voltage output (Vcc/512 volts per inch), and serial digital output (9600 baud). 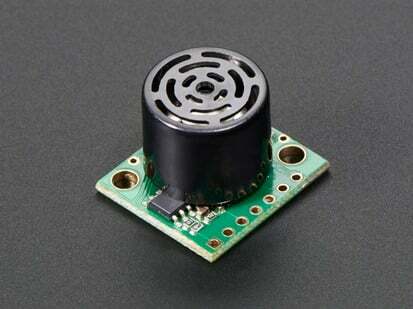 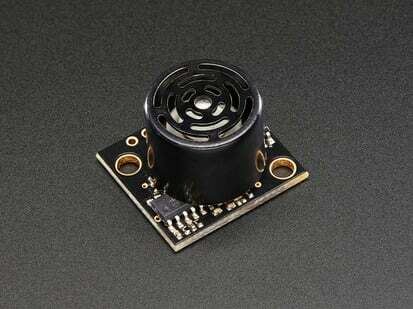 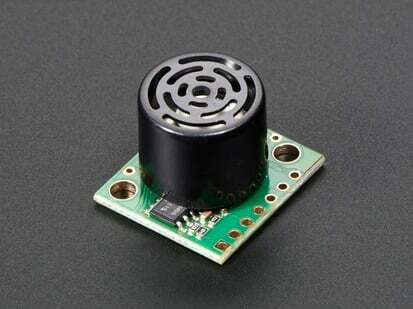 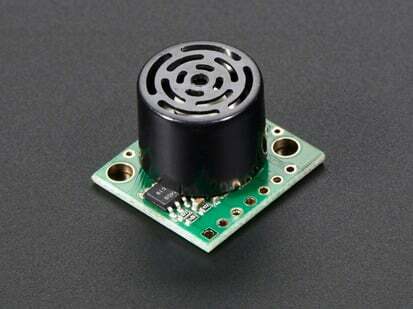 A good sensor for when a Sharp IR distance sensor won't cut it. 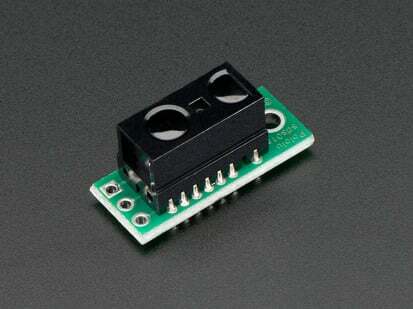 For example of using this with an Arduino, see the Halloween Pumpkin project. 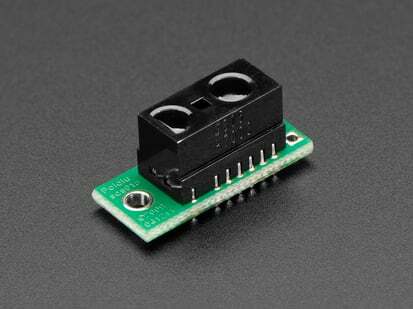 LV-EZ0 Data Sheet / Product Information Guide is available here. 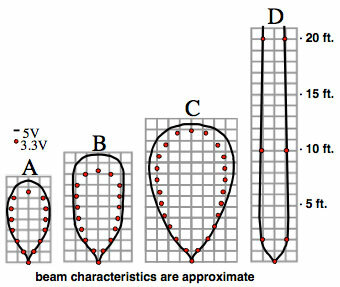 The different LV models have different beam width patterns, check this image for a comparison of all the LV model beam patterns. 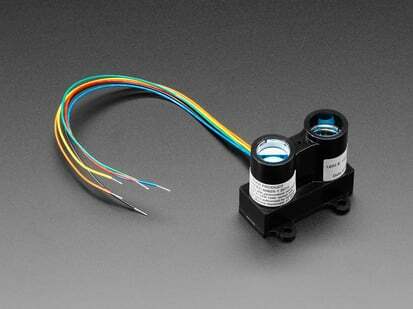 For higher sensitivity, check out the HR-LV models - they have up to 1mm sensitivity and 5 meter range! 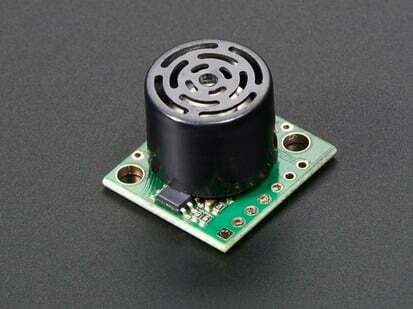 For product support for all Maxbotix products, click here!